Subarus will take you anywhere, in most all conditions. Subarus are awesome cars, especially in rural areas. They can get through most anything. When others can't make it, the Scoobie powers through. I have been driving them for over a decade and think they are a great family car. My dislikes: Bad manufacturing of head gaskets. They are guaranteed to blow. I am lucky enough to be partnered with a genius that can fix anything so that is never an issue for us, but certainly for most. Also the back end rots out quicker than most vehicles. The subframe gets rocked and needs replacing. The steel they use is not quality, but Japan is an island with no resources so it makes sense. Reliable smooth comfortable compact transportation. So I would have to say that my Subaru Forester is a great running vehicle hardly ever having problems with it I love the features of the hidden cup holders very reliable all wheel drive never really had a problem with anything great on gas easy to haul groceries easy to do work I mean anna and it is got four door so I can fit the family so good stuff good stuff. 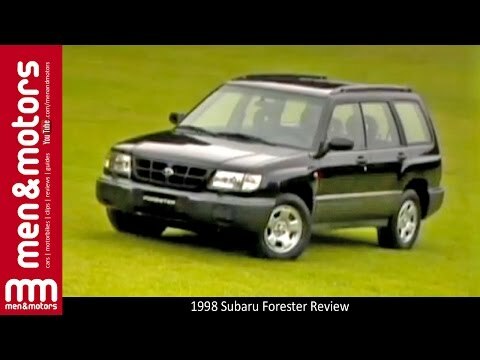 I think the Subaru Forester is a really casual, classic car. Nothing too flashy, but reliable. It is very standard comfort, size, and good for a small family of 3-4. However, my vehicle is so old that it has a lot of maintenance issues, but it is 18 years old. It is pretty easy to get smaller issues fixed, but definitely consider trading in after 10+ years.